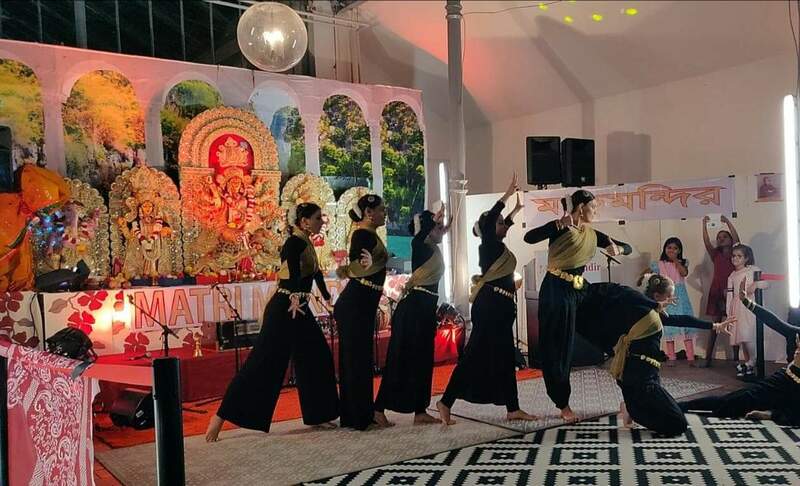 Revathi Dance Academy Munich presented a Bharatanatyam dance performance at Durga Puja festival organised by Matir Mandir verein. 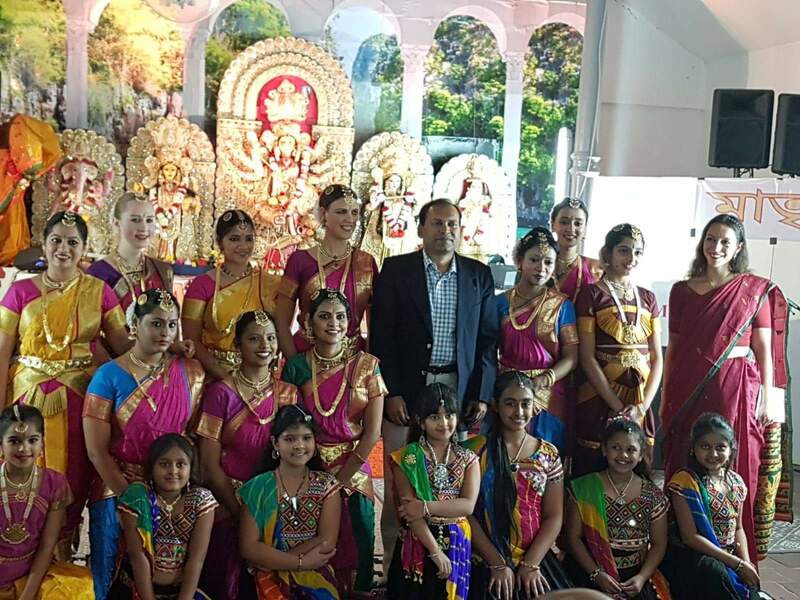 Consul General of India Mr. Suganth Rajaram was the guest of honour who did the opening and lighted the lamp. 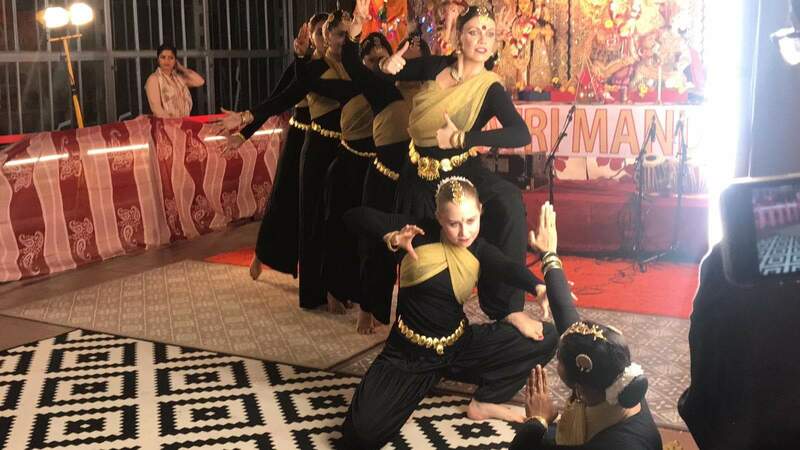 Revathi Dance Academy students started the performance by the traditional way to enter the stage. Mallari a famous traditional classical item was followed by various items on praise of Devi. Coordination between dancers was excellent. Later the evening was finished with a classical fusion dance a new composition of Brigitta Hegedues, the leader and teacher of the Academy. 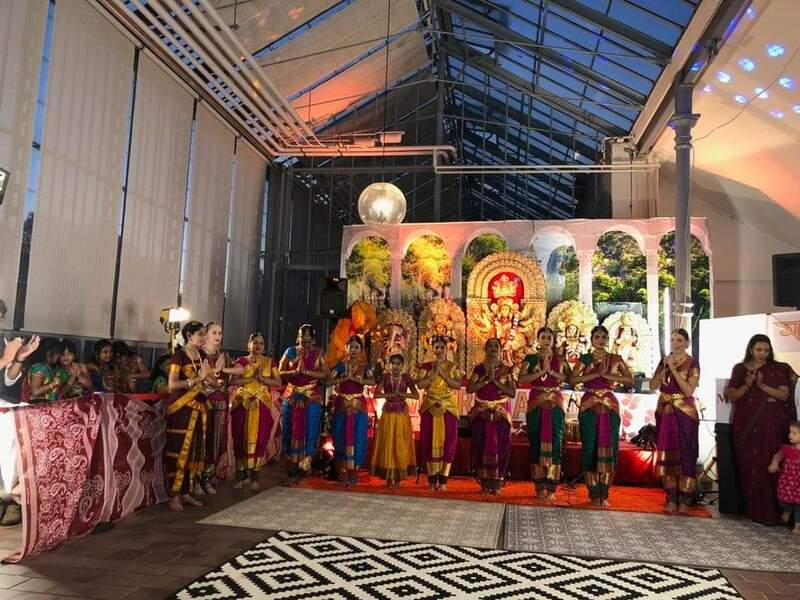 It was a spectacular dance piece and the audience was very impressed and deligted by the performance. 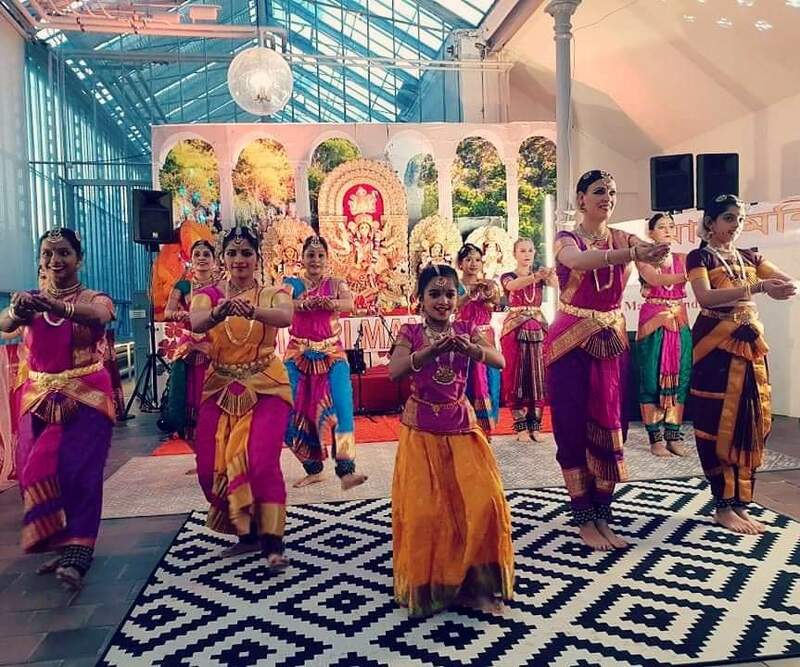 Revathi Dance Academy is pleased and honored to perform at such special devotional events.